Star Bright Bookcase | Great Little Trading Co.
Measurements: Bookcase: 110H x 71W x 35D (cm); each shelf is 31H (cm). This sweet bookcase is irresistible on its own but even better, it has a whole matching range of furniture to go with it. It's perfect for children's bedrooms and family spaces, combining sturdy style with star shaped fun. We know how important it is that the furniture your children use is sturdy and safe - that's why we use the best materials and test all our designs so rigorously. This bookcase has a sturdy plinth and back board for extra durability, and a tough Bright White finish; for extra safety please also fit the Anti-Tip Safety Kit supplied with this bookcase. 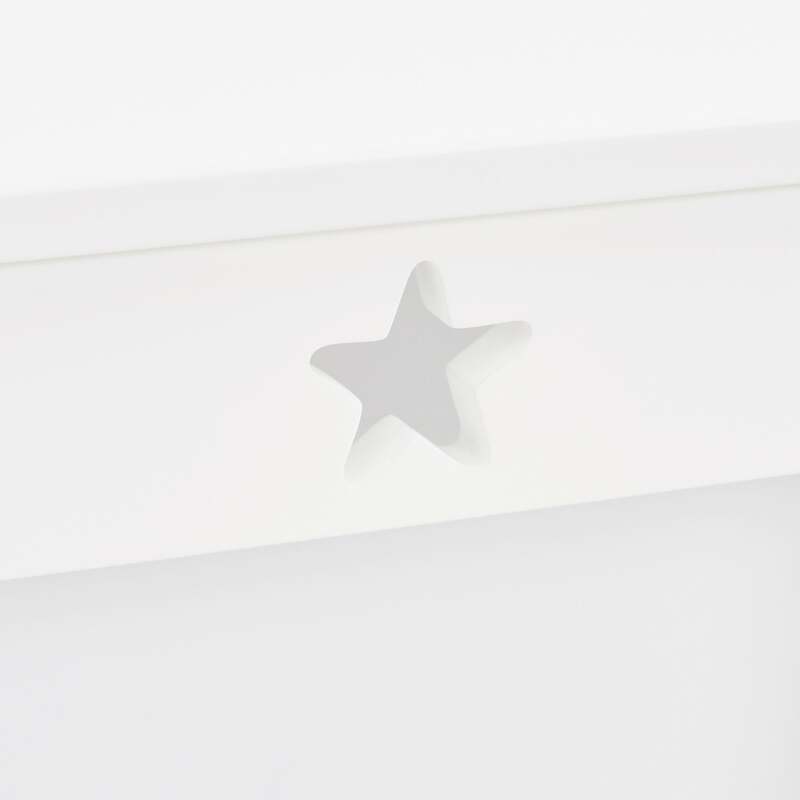 There's a whole range of matching white bedroom furniture and storage to clear the clutter in children's bedrooms; team it up with the Star Bright Single Bed, the Star Bright Wardrobe, and the Star Bright Chest of Drawers. All available to be delivered within three working days.